American Ergonomics Corporation’s patented Counter Balance Motion (CBM) seat technology offers a passive restraint for improved safety and comfort. Using CBM as a restraint reduces loads on the lower body, diminishes head trajectory and prevents submarining without the need for motors, controls, igniters or other cost increasing accessories. Crash tests and simulations demonstrate that CBM prevents submarining even without seatbelts and airbags. As Automated Driving Systems are adapted, there will no longer be a requirement for forward facing drivers. The CBM Seat acts as an occupant restraint to increase automotive safety regardless of how passengers are oriented. The CBM Seat has deployed to dissipate upper and lower body impact loads before the seat belt or airbag impact the body. 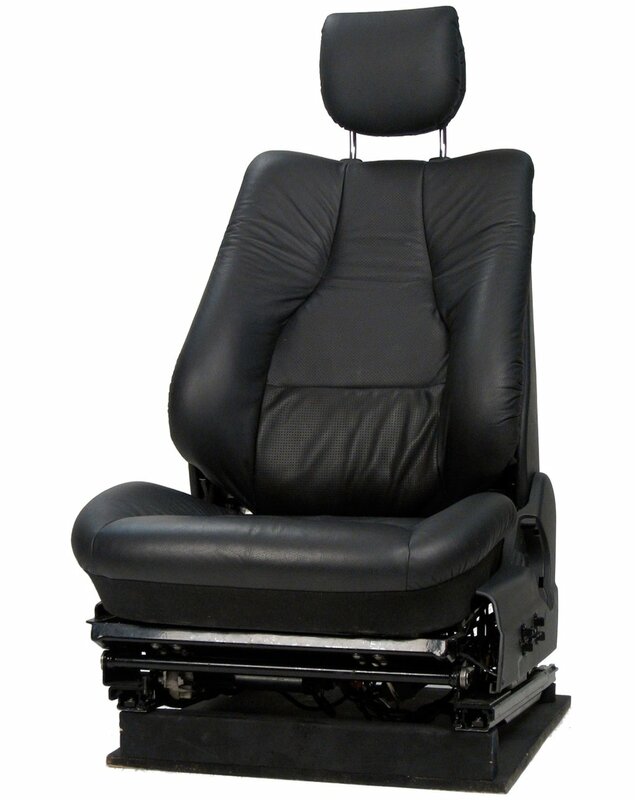 The CBM Seat keeps the lower body fully supported by the seat. The lower back is still in contact with the lumbar support and the face is not yet in contact with the airbag. The motion of CBM Seat rotates the pelvis translating the spine downward, reducing the impact loads on the head. The fixed seat shows visible space between the lower backrest and the drivers back. The body is sliding forward and escaping the seat. In a typical frontal impact, the occupant continues forward and is only restrained by the belt and airbag, with virtually no safety contribution from the seat. In a frontal impact study by TASS International critical responses such as chest deflection, HIC and NIJ were reduced helping achieve a 5 star ratings for both driver and passenger. Unbelted tests with CBM show that in all criteria CBM responses are below 80% of FMVSS limits. CBM passively supports posture change without hand activated adjustment for seat tilt and optionally lumbar support angle and headrest. CBM supports the Neutral Body Posture by automatically balancing seat tilt and lumbar angle with optimal weightdistribution. Vibration tests confirm that the CBMSeat improves comfort performance by reducing the transmission of peak vibrations to the body. A fatigue study demonstrated the percieved comfort of the CBM increases in longer durration drives.